Do you love free food? 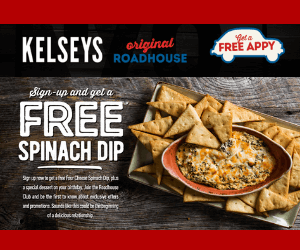 Sign up for the Kelsey's Roadhouse Club loyalty program and get a coupon for a free spinach dip, a free dessert on your birthday, and a $10 off coupon after your 1st anniversary of joining. Your coupon with the offer can take up to 24 hours to be received. 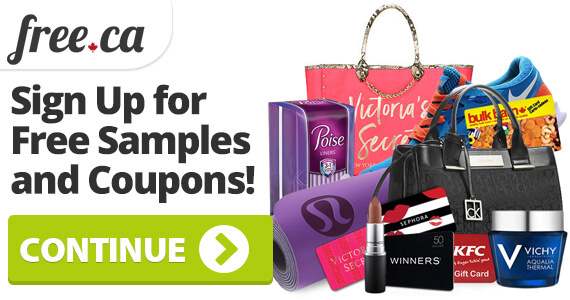 Be sure to check for an expiry date on the coupon you receive. If you like this offer, check out another one we posted for free Harvey's frings. 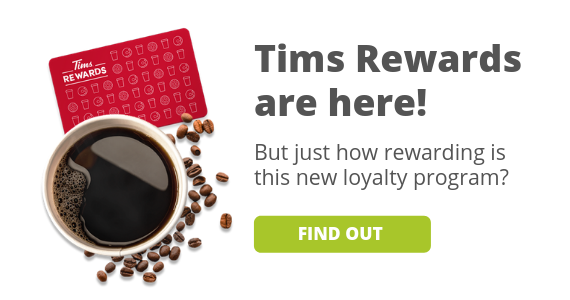 Want even more free food? Check out our Restaurants page!